From My Front Porch: Free to fly the flag doing what we love! Free to fly the flag doing what we love! Thanks to those in uniform. It is truly beyond my comprehension the sacrifices that individuals and their family's make when they choose to serve our country to keep us all free and safe - there aren't enough words for the gratitude and support these people (soldiers and family's) deserve! But this is the second year that The Johnson County Beef Cattle Association has done just a small part in saying "THANK YOU"! This year we (JCBCA) were blessed in being able to "THANK" not only the soldiers but also their family's with a dinner for The Indiana Nationtal Guard 4-19th ADT being deployed from Atterbury - I will be honest I am blessed to be part of a great organization that gives so much back to the community and to help with this dinner was such an honor but this was the last time that these soldiers were going to see their family before deploying that it felt very surreal to be a part of such an emotional experience. We held the dinner at The Indiana FFA Leadership Center in Trafalgar (which is a great facility and we are so lucky to have in Johnson County) and close to Camp Atterbury. The kids in the Jr. Beef made treat bags for all the kids! Franklin FFA was there to help! God Bless America and the Men and Women and Kids who sacrifice to keep us free and safe! 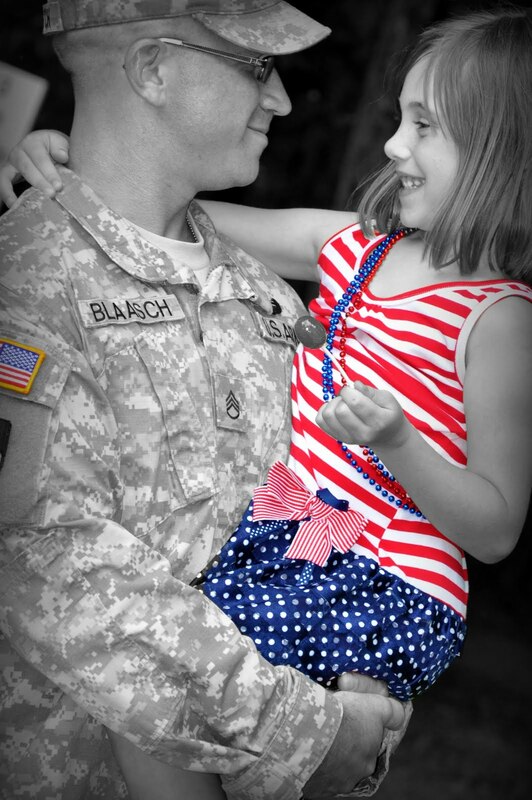 Happy 4th of July and you make our soldiers proud just as they make you. Beautiful post! What a wonderful way to show love for our country and our soldiers! 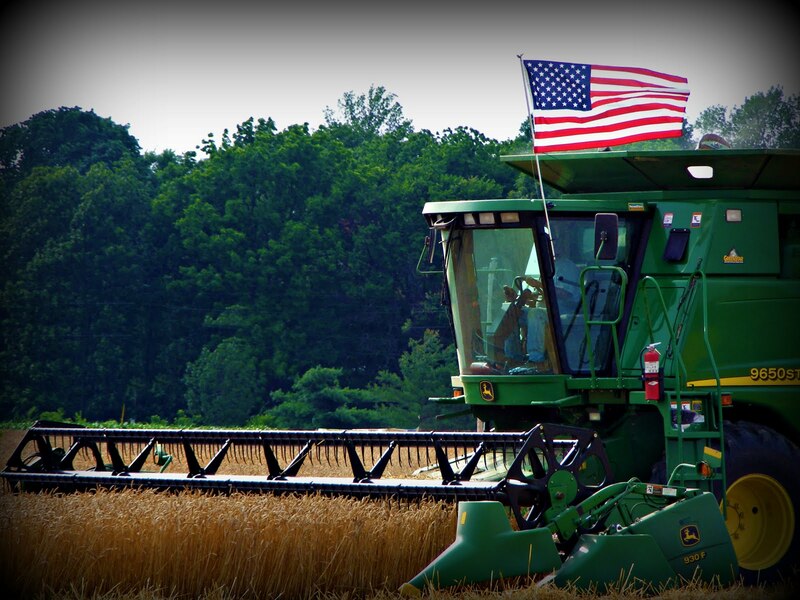 Love the photos of the flag on the combine and the the last one is wonderful, too! Great job! My nephew just returned from Afghanistan last week. We were going to go down and see him (he is at Ft. Campbell), but my back will not let me make the trip. :-( Hopefully, he will get back up here soon so we can all see him and give him a hug! 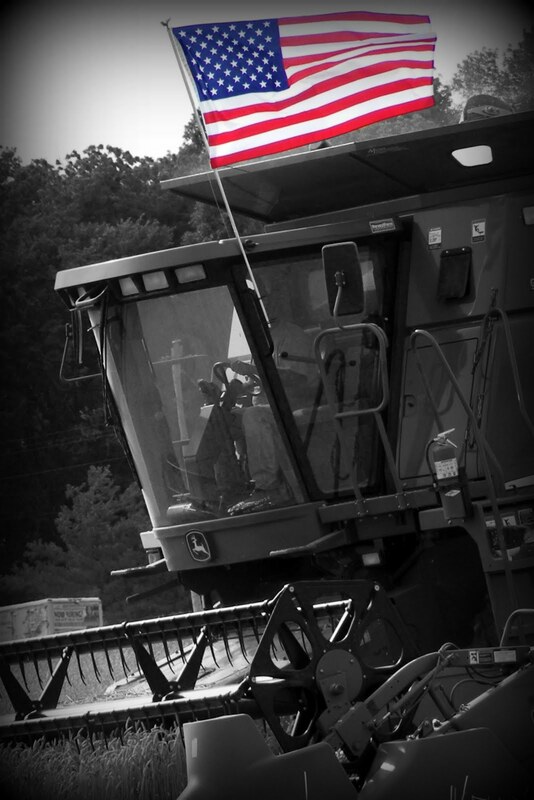 Thanks for all YOU do to honor those who serve. Excellent! What a wonderful experience for all of you. I found you through little Indiana. 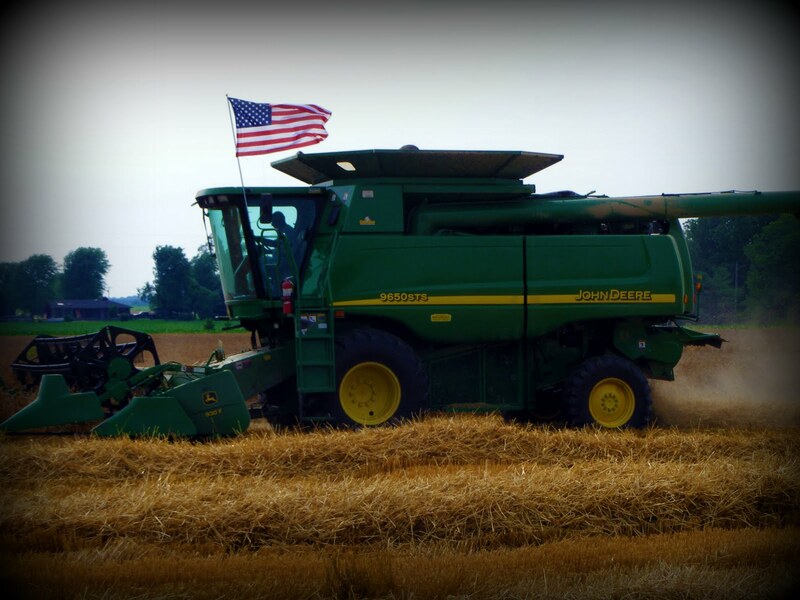 I love these pictures ... what a great way to show your American and Farmer pride. Nice to meet ya!